Soon the weather will be cooling and the sweaters will come out as we enter into autumn. One of the best perks of Carmel, IN‘s autumn season is the abundance of farms in the vicinity. In the autumn, farms mean apple picking! It’s not just about apples either, many have pumpkin patches, fresh produce and baked goods, and some have farm animals. Its a great way to support your local farms. Below are some of the best the Carmel, IN area has to offer. Tuttle Orchards. Come on out to Tuttle Orchards, a favorite Indiana apple orchard that features apple picking, a pumpkin patch, corn maze, kids farm play area, and a farm store! Don’t miss the special Caramel Apple Festival on Saturday, September 12th. Tuttle Orchards is open now for picking and offers free admission! Open Monday – Saturday, 9am-7pm. 5717 N. 300 W., Greenfield, IN. Stuckey Farm. Don’t miss the 2015 Harvest Festival, weekends September 26th – October 31st at Stuckey Farm. Each weekend is packed with activities for all ages for your fun, fall, family destination. You pick apples are also ready along with other local veggies. Open Monday – Friday 9am-6pm, Saturday 9am – 5pm, and Sunday 1pm – 5pm. 19975 Hamilton Boone Road, Sheridan, IN. Pleasant View Orchard. A trip to Pleasant View Orchard has become a family tradition for many. 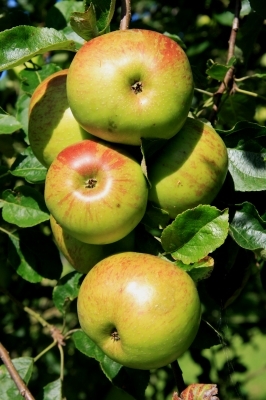 There are over 40 acres of apple trees, in 20 varieties. Open daily from 9am – 6pm. 10721 N. 850 W., Fairland, IN. There are several you-pick farms in the Carmel, IN area, if wanting even more choices www.PickYourOwn.com lists several. We hope you enjoy this beautiful fall season and are able to get out and support some of these local farms. Please know we are only a call away if you have any Carmel, IN real estate needs. We look forward to hearing from you soon, contact a Carmel, IN real estate agent today!